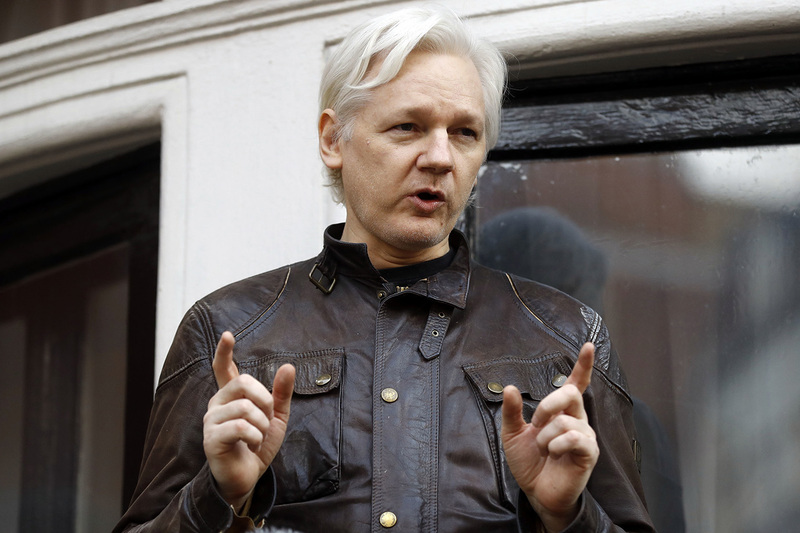 London: What is expected to be an epic legal and political battle over whether to extradite Julian Assange to the US began to take shape, with Britain’s opposition Labour Party urging the government Friday not to hand the WikiLeaks founder over to the Americans. On Thursday, British authorities dragged the 47-year-old Australian native from the Ecuadorean Embassy in London, where he had taken refuge for nearly seven years, and US authorities announced charges against him of conspiring to break into a Pentagon computer. The politicisation of the case reflects the clashing views of Assange as either a heroic whistle-blower standing up to the mighty United States or a willing stooge who helped the Russians boost Donald Trump’s presidential campaign by publishing emails that embarrassed his rival, Hillary Clinton. If found guilty of the US charges, Assange could get five years in prison. His next court appearance was set for May 2 via a prison video link. If Sweden also makes an extradition request, it would be up to Britain’s Home Secretary to determine which would take priority. Typically the first request made — in this case, the US one — would be acted on first, but officials have some leeway, Keith said.